Like a gentle web with sparkling raindrops these earrings will embellish your ears creating romantic look. Bronze tone web has floral motif and crystal embellishment. 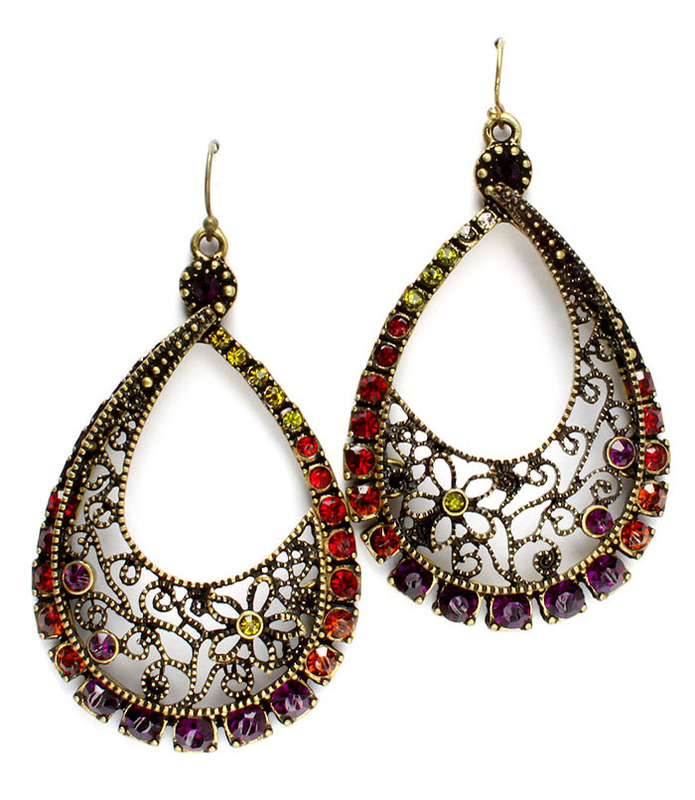 The earrings are trimmed with yellow, red and purple crystal studs along the perimeter. Are you looking for quality and affordable cheap jewellery? Check out our Clearance Shop today.